iPhone Touch ID Not Working After iOS 12 Update? Fix It Now! You may have tried many ways and techniques to pull this off, but have you tried using a third-party app to remove Touch ID lock from iPhone? The beauty is that it saves you the numerous stress in using iTunes restore and recovery features. 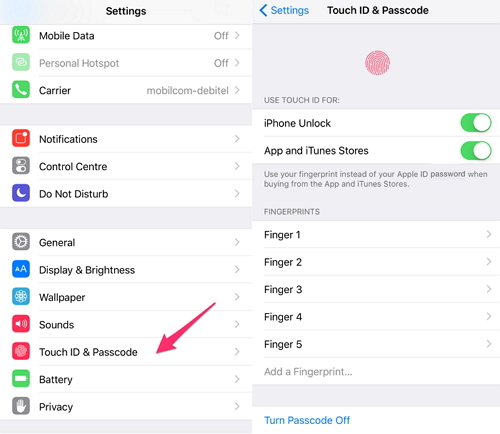 Help you to remove iPhone Touch ID lock screen when iOS 12/12.1 update has modified your fingerprint. Get you back into a locked, disabled or even broken iPhone without password. 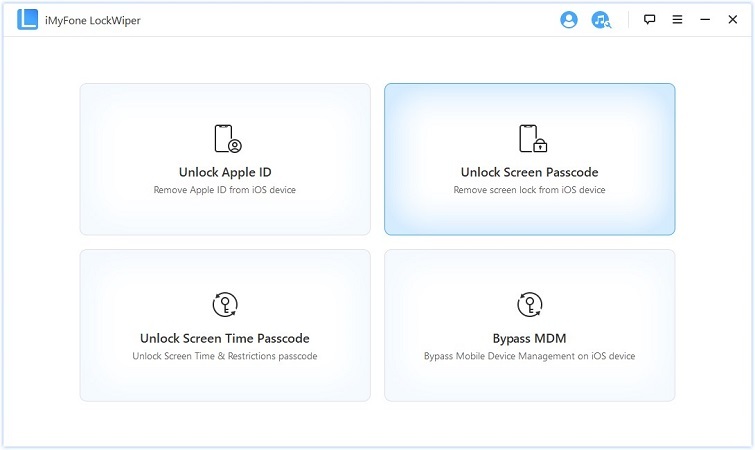 Remove all types of iPhone locks: Touch ID, Face ID, and 4/6-digit passcodes. Do any unlocking just in a few clicks and a few minutes. Step 1. 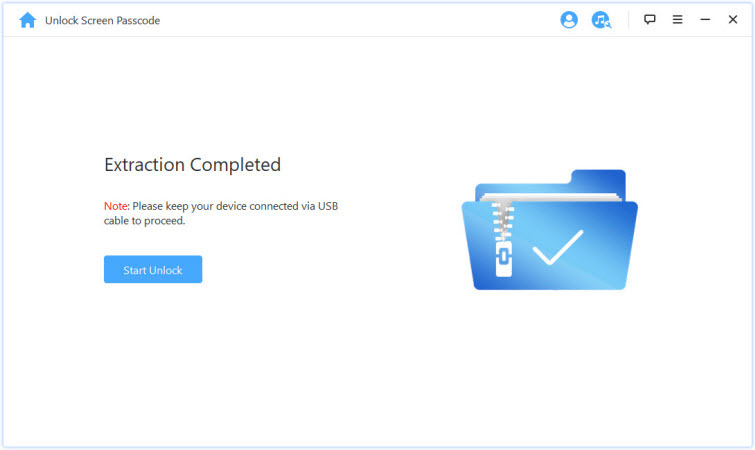 Launch iPhone LockWiper on your Windows or Mac PC. 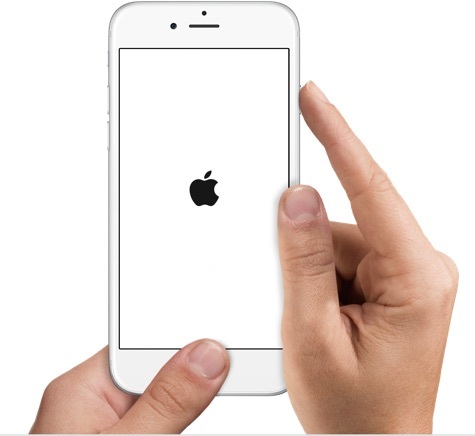 Click “Unlock Screen Passcode” to begin the process of unlocking your iPhone. Note: If you want to unlock iCloud account, choose "Unlock Apple ID" instead. Step 2. Connect your iPhone to your PC and click "Start" to begin. Your iPhone will be automatically detected. You just need to click on "Download". Step 3. Afterward, click "Start to Extract" to complete unpacking the downloaded file. Step 4. When it finishes, click “Start Unlock” tab and confirm the unlocking. If you try, you will find it very simple, which is proved by LockWiper users. It’s also highly recommended by lots of authoritative media, including SOFTPEDIA, download.hr, etc. Cleaning and drying the iPhone Home button is a good way to fix Touch ID not working on iPhone issues. If you’ve touched a wet or oily substance before using your finger to open iPhone, it may not work. Therefore, clean your iPhone Home button with a dry cloth and try again. Force restarting your iPhone can help to resolve most system glitch. Hence, it can help you fix unresponsive Touch ID. On iPhone X, 8 Plus or 8: Quickly press Volume Up and release, quickly press Volume Down button and release, the hold the Side button and Home button until your iPhone reboots and shows the Apple Logo. On iPhone 7 or 7 Plus: Press and hold the Volume Down and Power button simultaneously until the Apple Logo appears on the iPhone screen. On iPhone 5, 6, 6s or 6s Plus: Press and hold the Power button and the Home button until Apple logo appears on the iPhone screen. 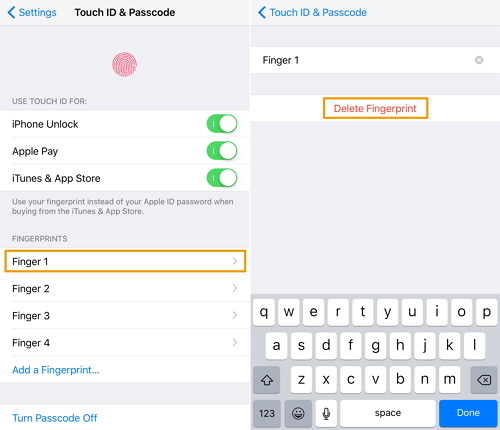 You can delete and re-add your Touch ID fingerprints on your iPhone or iPad to solve this issue. Go to “Settings > Touch ID & Passcode”. If prompted, enter your passcode. Click on each fingerprint you’ve added and click “Delete Fingerprint”. Tap on “Add a Fingerprint”, and follow the on-screen prompts to set a new fingerprint. Turning off Touch ID for iPhone Unlock, Apple Pay, iTunes Store, and for Apple Store, and turning it back on can solve this problem. Go to “Settings > Touch ID & Passcode”. You will be required to enter your passcode, do as required. Tap the switch buttons for iPhone Unlock and App Store. Restart your iPhone, and go back to step 1 & 2 to switch on Touch ID for iPhone Unlock and App Store. Restoring iPhone with iTunes will remove the Touch ID and get you back into iPhone. But it will erase all settings and contents of your iPhone. Launch iTunes on your PC and connect your iPhone to your PC using a USB cable. Make sure that you’ve used this PC to sync iPhone in the past. Wait for iTunes to sync and make a backup of your iPhone. Once the backup is finished, click “Restore iPhone”. When you’ve reached the Set Up screen, you can choose to restore your iPhone data on iTunes. Select your device in iTunes and choose a recent backup. Limits:This way is only available when you synced your iPhone with iTunes before. If it asks for password during the process, you should try other ways. 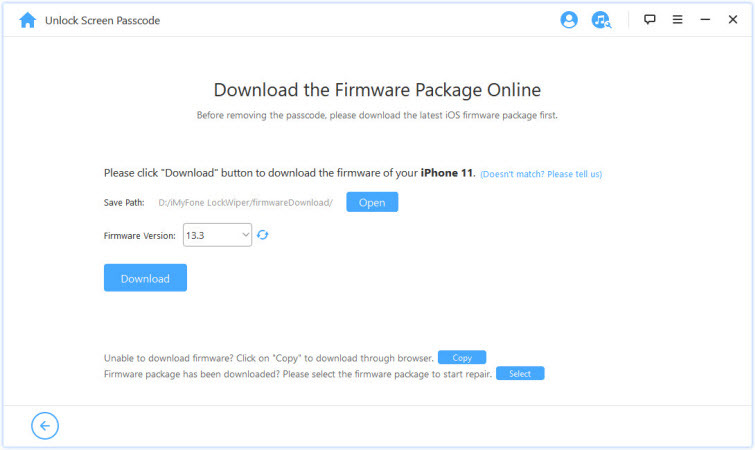 All these methods will help you to fix “iPhone Touch ID not working after iOS 12/12.1 update”, but the most recommended fix is iMyFone LockWiper because of its numerous benefits. According to its real users, it’s easy to use without knowing any tech. What are you waiting for? 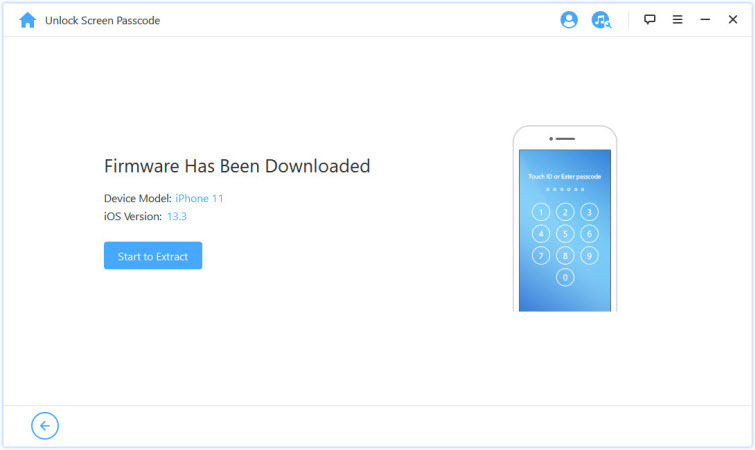 Download it here to fix your iPhone lock in a few minutes.